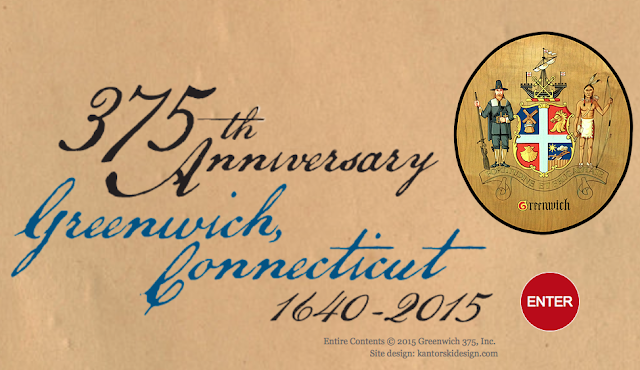 Happy 375th Founders' Day, Greenwich, Connecticut! Friday, August 5, 1910. Page 6, column 2. At about three o'clock Friday afternoon Driver Chard of the Automobile Chemical received notice of a fire at the old Solomon Mead farm at Quaker Ridge, and taking out the chemical was soon on his way. The chemical arrived in time to help take care of the other buildings, but not until the fire had destroyed five valuable horses, the large hay barn and practically all of its contents. The fire was set by small children in a colored family living on the farm. The children had been warned not to play with matches as only a few days before they had set fires on the place. Matches were being kept from them carefully, but they had climbed on a peddler’s wagon and taken some that were there, just before starting the conflagration. It was discovered in the barn and burning the new hay put in only a few days before, at about 2:45. The men on the place got busy at once, but were unable to save much of the contents as the hay made a quick and hot blaze. By using water from the well pumped by a windmill they were able to partly keep down the flames until the Port Chester chemical with a number of firemen arrived and began the work of saving the other buildings, some of which were closely adjacent. Superintendent George B. Mortensen and his men were haying in a field some distance away but got to the farm in time to save three horses. Many other animals were lead out of other barns and turned loose. The Port Chester fireman and the Volunteer’s chemical were stationed at separate points along the many farm buildings and Superintendent George B. Montensen who saw the work done and has since examined the buildings which caught several times from burning shingles falling on the roofs and the sparks, gives great credit to both departments. He says without them the loss would have been much greater, and the owners of the farm as well as himself are very thankful for the efforts of the firemen. He further token of appreciation is probably not far off. The farm is owned by Dr. F. E. Hyde and the Misses Sarah C. and Agnes V. Mead, daughters of Solomon S. Mead. It has been operated for years as a stock farm and many valuable horses are kept there for people in and about Greenwich. All seven horses burned were owned by Greenwich people and all were very valuable. The management of the farm felt deeply the loss of them more than the loss of the buildings and other contents. No exact estimate can be made of the loss from the horses but amounts to several thousands of dollars, while the barn and the hay was valued at about $4000. The grave of Caroline Mills Smith Mead is marked by the granite obelisk at left. June 10, 1910. Page 7, column 5. Mrs. Caroline Mills Mead, widow of the late William H. Mead, died at the home of her niece, Mrs. Henry V. Peck at Relay Place, Cos Cob, last Friday after an illness whose duration was nearly a year, aged eighty-four years and six months. The funeral was held at the home of Mrs. Peck on Tuesday, the Rev. M. George Thompson officiating. The service was an impressive one. Hymns were sung by a quartet consisting of Dr. and Mrs. Carl E. Martin, Arthur H. Dorland and Miss Lillian Reese. Mrs. Mead was a prominent woman in Greenwich, a woman of strong character in mind and one highly respected in town. She was born in 1826 in Stamford, the daughter of Ebenezer and Rhoda Smith. On her marriage to Mr. Mead she came to Greenwich to live in the old homestead which is now occupied by Mr. Young. Thirty-seven years ago her husband died and upon her then devolved the task of looking out after his large land holdings. In recent years she has done much to improve the property. She had four streets laid out, Mead Circle, Suburban avenue, Glendale street, and Randolph place, all of which are well built up. She showed remarkable business ability in all of her dealings, and much to build up Cos Cob. She leaves two nieces, Mrs. Peck and Miss Caroline Smith, and nephew Benjamin Smith, besides grandnephews and grandnieces.